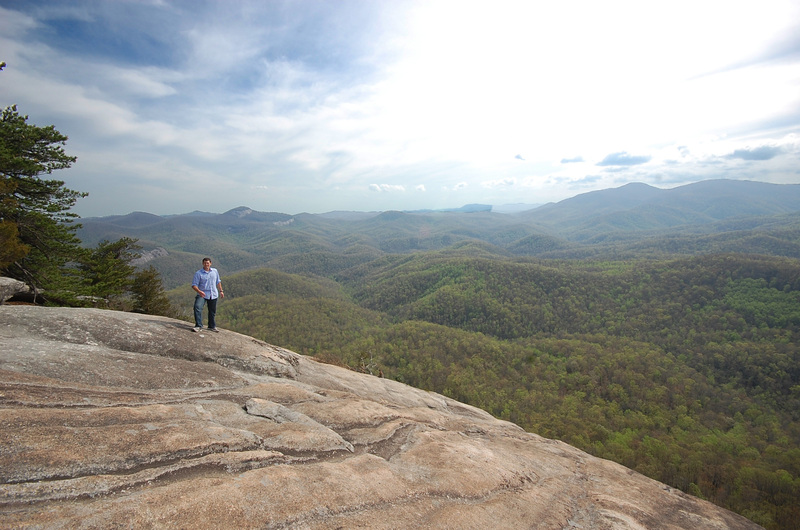 I lived in Asheville for a few months while interning at WNC Magazine. On my 22nd birthday, Mike drove up with a little surprise. You can read that story here. Tomorrow is my 24th birthday and the 2 year anniversary of our engagement. 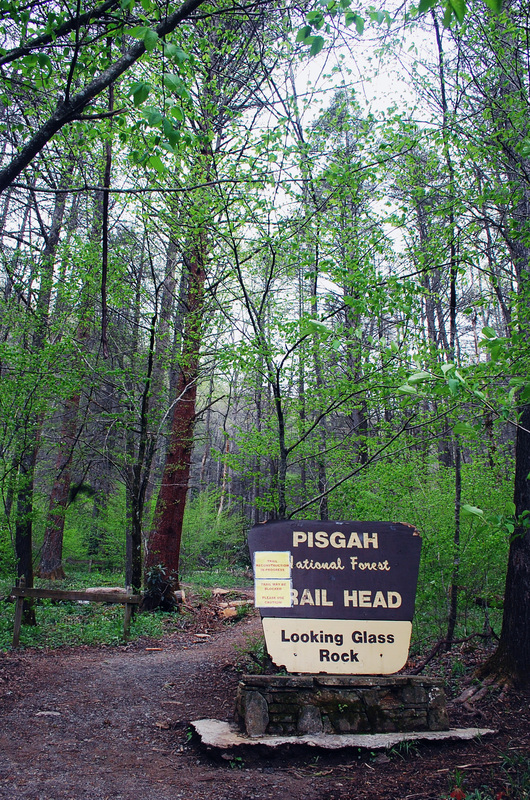 This post is mostly about the hike: Pisgah Trail to Looking Glass Rock. 6 miles round trip. 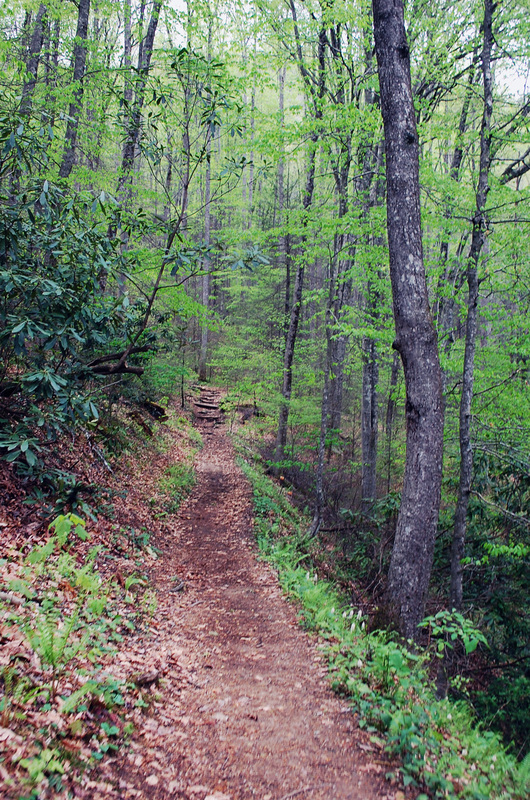 The trail is lush and the vegetation abundant during a western North Carolina spring. 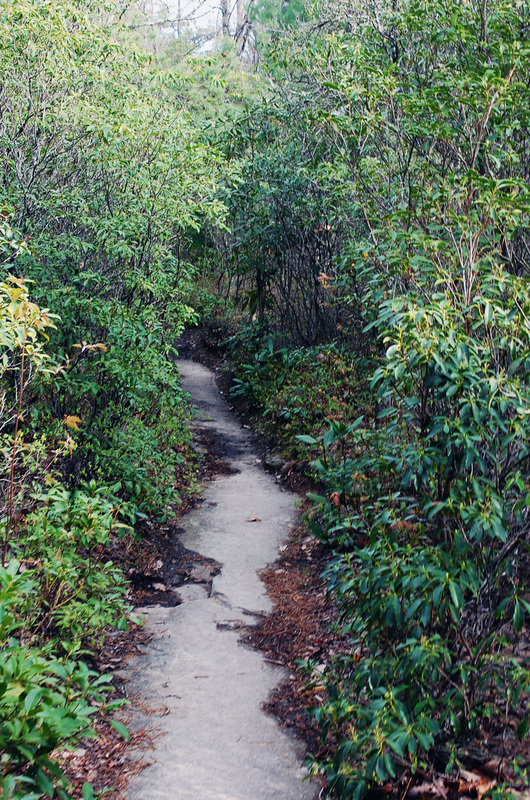 It was a mild afternoon in the mid 60s and I remember it being unusually humid after a morning rain storm. Because the whole excursion was a surprise, I didn’t quite dress appropriately. 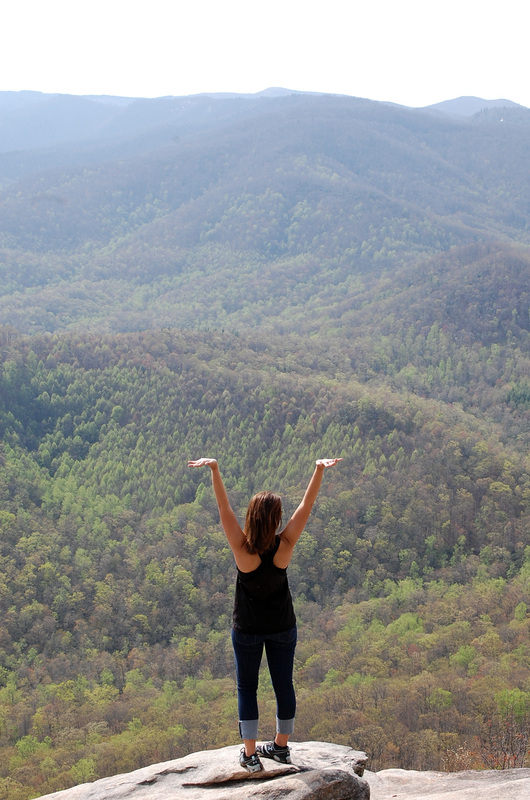 I opted for shorts and a tank top when I made the hike for a second time with my parents.